With the five patches of ‘red letters’ and its exploration of Jesus’ life, Matthew’s gospel is an apt manual for discipleship. In Partnering with the King, author John Hiigel takes us on a 31-day-tour of Matthew, exploring its implications for disciples. The book opens with an examination of the story about the feeding of the five thousand (Matt. 14:13:21). In that story, Jesus’ disciples were asked by Jesus to feed a crowd but had no resources to do so (or very little resources). Jesus takes whatever they had to give and he multiplies it and uses it, miraculously feeding the multitudes. This is what Hiigel calls ‘partnering with the King.’ Jesus holds the power because he is God and King, but we get to partner with him in bringing God’s kingdom to this earth. Just like the disciples, we are asked to do what seems impossible, but as we learn to faithfully obey Jesus multiplies what we offer a. The nd uses it for his glory. The feeding of the five thousand is a personally meaningful image for my life and ministry and provides a great organizing motif for this book. After the feeding of the five thousand, the rest of the daily entries follow the book of Matthewin a largely chronological fashion. As Hiigel walks through the text several themes emerge. Jesus’ authority is seen in his miracles, healing, casting out of demons, and his teaching. His life is commended to us for our imitation, and we are challenged to put into practice his teaching. Ultimately his entries explore what it means for us to participate with Christ and ‘partner with him’ in bringing about his Kingdom in its fulness. Disciples see the the kingdom Theses daily entries can each be read in 10-15 minutes and are fairly meaty. Hiigel teaches Biblical Studies at the University of Sioux Falls. Having received his Ph.D. from Fuller, he’s also served as a pastor for decades and as a musician in Los Angeles. His examination of Matthew blends together the world of scholarship, pastoral insights, and musicality. While music is not a major theme, he utilizes several examples of his ‘musician days’ to help explicate the text. This is not a scholarly book and so it does not explore every critical issue or fill in all the background of the first century context. That doesn’t mean that Hiigel is not a good scholar or that this book does not rest on good scholarship. It just doesn’t explore every jot and tittle of the text. I was occasionally disappointed when Hiigel did not fully exegete my pet passage. On the other hand Hiigel stays on task, exploring Matthew for what it tells us about discipleship. What he shares here is challenging and engaging. For a devotional commentary on the book of Matthew, I think this is the best of its kind even if I happily recommend it, especially for personal study. I think that this is better than Tom Wright’s Matthew for Everybody and breaking it down into daily readings makes it a great way to soak in Matthew’s message for a month. As someone who too often is lulled to sleep by the ordinariness of life but really hungers to be used by God with my life and ministry, I found myself challenged anew in these pages. I give this book ★★★★★. 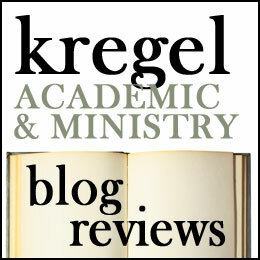 In this review, I didn’t offer a detailed summary of most of what Hiigel says but am always happy to discuss particular passages from Matthew and what Hiigel says about them. The proclamation of Jesus was that ‘the Kingdom of God is at hand.” However a lot of ink has been spilled trying to explain what the ‘Kingdom of God’ actually is. The classical liberal position was that the Kingdom denoted God himself in his power. Others (like Walter Rauschenbush) implied that the Kingdom was embodied by righteous life and action. Liberation theologians and others claim the Kingdom is a challenge to current social structures while theonomists and reconstructionists argue that the kingdom is a restoration of Israel’s law (21-23). The great Russian novelist Leo Tolstoy, understood the Kingdom of God as an idealist ethic which we ought to live out. Emergent Christian definitions of the kingdom often denote a present reality without much of a future orientation. Certainly there are aspects of truth to all of these models but none does justice to the richness of the Biblical material and theological tradition. 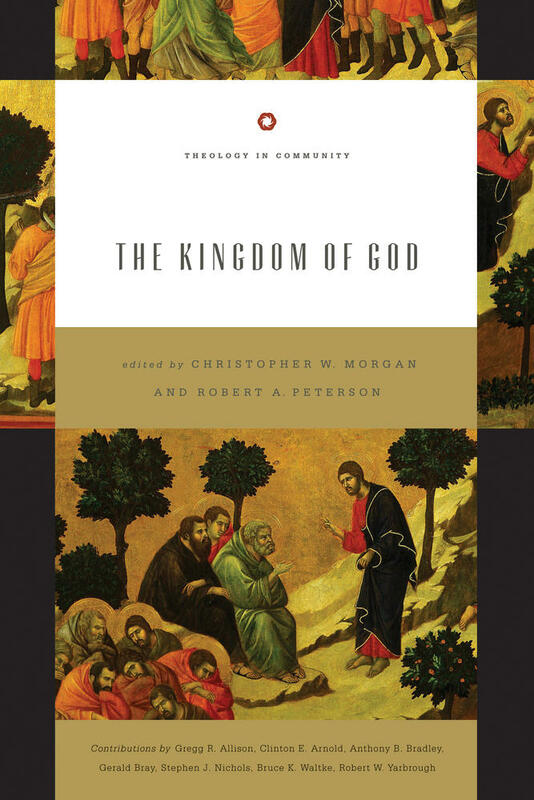 Christopher W. Morgan and Robert A. Peterson have edited a book on the kingdom of God, which they’ve creatively titled, The Kingdom of God. This book is part of their “Theology in Community” series (from Crossway) which gathers together a team of biblical scholars and theologians to reflect on particular themes. Their conviction is that theology is done best in teams. I have not read the other books in the series, so I cannot comment on how successfully they achieved their aim, but this book is exceptional for the depth, insights and cohesiveness. Each of the scholars in this book affirm that ‘the kingdom’ implies ‘the reign’ of God and ‘the realm of God (his presence and sphere of influence). They also agree that the kingdom of God is both a present reality and a future hope (the already and the not yet). 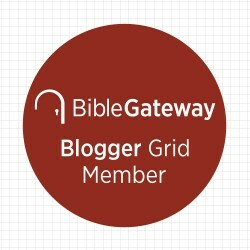 However they all bring their own unique insights from their fields of study (Old Testament, New Testament, Historical Theology, Systematic theology. Theological ethics, etc). The rich insights spill from one chapter to the next and force you to consider the meaning of the kingdom from several different angles. The book begins with a short introduction from Morgan and Peterson which describes the theme and structure. Stephen Nichols explains the variegated understanding of the kingdom in Church history and in contemporary contexts (chapter one). Bruce Waltke puts the Kingdom in the context of the Old Testament and the covenant (chapters 2-3). Robert Yarbrough examines the variety of references to the kingdom in the New Testament (chapters 4-5). After Waltke and Yarbrough have laid the biblical foundation, the subsequent chapters turn to theological matters. Clinton Arnold discusses how healing and exorcism in the New Testament demonstrates a ‘breaking in’ of the Kingdom into the present reality. However all miracles are transitory and point forward to a future fulfillment (where God’s in-breaking is the norm not the exception). Gregg Allison relates the concept of church to kingdom and what it means for mission (particularly the ministry of reconciliation). Gerald Bray explores eschatology and the Kingdom. The final chapter is by Anthony Bradley and explores the ethical implications of the Kingdom (orthopraxy). This book will enrich your understanding of what the Kingdom is and will further evangelical, scholarly discussion. It is a tribute to a book that upon finishing it, I found myself re-reading parts of it immediately. There is a lot here to reflect on and process. Stephen Nichols and Bruce Waltke’s chapters are particularly good (but there is not really a weak essay). Whether you are wanting to beef up your theological understanding of the Kingdom or gain some exegetical insights, this is worth reading. I give it five stars: ★★★★★ Thank you to Crossway publications for providing me a copy of this book in exchange for my honest review. Posted on November 22, 2012 November 22, 2012 Categories Cultural Critique, Kingdom of God, Liturgy, Spiritual Formation, Spiritual Practices, workTags Advent, Black Friday, Conspicuous Consumption, consumerism, Desiring the Kingdom, James K. A. Smith, Kingdom of God, Liturgies, Secular Liturgies, Shopping, Thanksgiving2 Comments on Back in Black: It’s Thursday But Friday’s Coming!